Click the button below to add the Color Care Conditioner #Color Care Natural Conditioner# to your wish list. Helps preserve color treated hair with rich conditioners that instantly moisturize and repair. 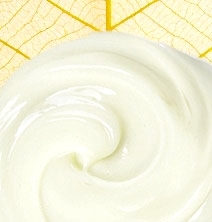 Simple and wonderful natural moisturizers such as Cupuacu, Camellia, and more help extend the radiance of your color. These help to detangle hair and improve manageability. Color-treated hair will feel and look smooth, soft and healthy. I have been searching everywhere for a good color conditioning shampoo and conditioner. This conditioner works great on my hair which I color every 4 to 6 weeks and then blow dry and flat iron it every single day. I've noticed a difference in the color lasting longer and makes my hair soft and shiny. It is a bit more on the expensive side but worth every dime! I have fine, thin, straight hair that I have to use good products on or it will break. This color care conditioner makes my highlights last longer and leaves my hair silky without any residue. Color stays vibrant, and little goes a long way. It also smells so good! I love this conditioner for my color treated hair. This works great on my hair, and it is the only thing that saves the color and helps to prevent damage. This conditioner leaves my hair feeling soft and is perfect for conditioning my hair, but still light enough, so my hair still feels clean. People compliment me on my hair. Free of chemical dyes, artificial fragrances, colors, silicones, and parabens. Free of any animal byproducts. Can be used on all hair types and textures. Restores moisture while keeping the color vibrant. Lightweight formula to create volume. This conditioner protects color from the sun, wind, and pool water (chlorine) damage. Aloe Vera aids as a nutritive hair conditioner while preventing dandruff and promoting healthier, smoother hair. Cherry Kernel Oil contains natural antioxidants like vitamins A & E to help protect hair from the sun. 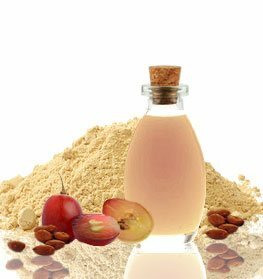 Almond oil contains vitamins A, B, and E while Omega 3, 6, and 9 can help hair become stronger, preventing premature breakage. Camellia oil is high in Omega 9 fatty acids, which have the ability to seal in moisture and restore the color of gray hair. Meadowfoam Seed Oil rejuvenates dry, damaged hair by providing shine, moisture, and protection from the sun. Cupuacu Butter can restore shine, manageability, and hydration to hair. Apply an adequate amount of conditioner to color-treated hair from the mid-shaft to ends first, like you're making a ponytail on wet, shampooed hair. Run a wide-tooth comb, starting from the ends back to the roots to detangle hair. This method is the safest way to detangle hair without causing breakage. This product is also great to use as a cleansing conditioner as well. • Add your favorite oil to your conditioner to further moisturize strands. • Cover your hair with a plastic cap and sit under a dryer for 5 to 10 minutes. • Protect your color by rinsing hair with cool/cold water. This method can also give you shinier locks. • Try to use less heat on hair. When applying heat to hair, it can potentially damage hair and lessen the vibrancy of your hair color. This product is amazing. I love your product. They have restored my broken over processed hair. I finally have silky soft shiny hair. This conditioner makes my hair so soft. I have been coloring my hair for the last 5 years. Please do not discontinue this product ever. Coloring my hair over the years has truly damaged my hair. My hair was dry, frizzy, and full of split ends. I have dyed my hair all the color of the rainbow. I would hide my hair in buns, braids, and ponytails due to it wrecked stage. I bought this conditioner in desperation to revive my hair. I can tell you that this product really does help. This instantly conceals my damaged stands. My hair was transformed to be softer, a bit stronger and a lot healthier. I am so glad that this conditioner exist! Excellent conditioner! I can usually try to be extra careful with my hair as it is very curly and bleached. I need to switch conditioners as my previous one did nothing to my hair. I try to get the full benefits of this conditioner by applying most of it on my ends and shaft and placing a shower cap while I shower. The heat from the shower lets the conditioner soak into the hair and soften it. My hair was smooth and very little breakage occurred once I combed. I was kind of shocked that it worked so well for me. I will repurchase more once I run low. I love this conditioner. It has a light smell and makes my hair looks so much brighter. I paired this conditioner with the dry hair shampoo and my hair felt like silk. My comb glide through my hair once I used this conditioner. I get many compliments from friends, family, and strangers alike about how good my hair looks. This product is truly a life saver for anyone who colors their hair! I usually get the hair loss therapy shampoo and conditioner which is amazing scent for both but I wanted to try something different since I was getting my hair colored. I bought the color treatment shampoo and conditioner. The shampoo is great! Except the conditioner I felt the fragrance is a little to strong for me but not lasting which is good. Other than that I was satisfied with the product. No more need for de-tangler! for a while I only used the color stay shampoo, and I realize that was a mistake not purchasing the color stay conditioner too! I love how they work well together. I've only used this product for a short time, and so far I am satisfied with it. This is an awesome conditioner. My hair is naturally curly and colored. This is the first conditioner that I've used in a long time that gave me great results. I don't need to use much and my hair is virtually tangle free. This is unusual for my hair. I love this product. I use essential oils in everyday living and like to keep my home and family as toxin free as possible. This conditioner contains all natural, toxin free ingredients and makes my blonde hair shine without ever feeling heavy or oily. Great product! love this stuff, been using it for a few years now, LOVE it! !